Eugene Wigner very nearly followed in his father's footsteps and became a leather tanner, and always credited his high school mathematics teacher, Laslo Ratz, with igniting his love for science. He studied neutron absorption into a compound nucleus, and made major contributions to the theory of atomic nuclei elementary particles and the scientific understanding of fundamental principles of symmetry. He won the Nobel Prize for Physics in 1963, sharing the highest honor in science with J. Hans D. Jensen, Maria Goeppert-Mayer. Beginning in 1927, he was at the forefront of the emerging "group theory", addressing the problems of atomic structure in the light of wave mechanics, and introducing concepts now held as fundamental to elementary particles. In 1933 he proposed a theory to explain how slow neutrons are substantially deflected as they pass close to protons — a change in the energy state of the deuteron. In 1937 he proposed that protons and neutrons are somewhat analogous to isotopes in the periodic table, and that protons and neutrons might be the same particle affected by different degrees of spin, which he termed isospin or isotopic spin. Beginning in 1938 he calculated techniques of atomic reactor calculations, instrumental in Italian physicist Enrico Fermi's first controlled chain reaction, conducted in 1942. He befriended Albert Einstein when both men were in Germany, and after fleeing the political rise of the anti-Semitic Nazi regime the two friends were reunited at Princeton in America. Together with Leo Szilard and Edward Teller, Wigner convinced Einstein to write to President Franklin D. Roosevelt about the urgent need to develop atomic weapons before the Nazis could, leading to the launch of the Manhattan Project. Wigner provided crucial work on the neutron chain and reactor theory for development of the atomic bomb, and was the key designer of the unprecedentedly huge reactor built at in secrecy at "Site W" near Hanford, Washington. After World War II Wigner publicly advocated atomic arms controls and limitation, and called for the widespread construction and stocking of nuclear fallout shelters. After his 1971 retirement, he worked independently on quantum mechanics, and grew skeptical of the Copenhagen interpretation, even as that theory became more and more widely accepted by other experts. 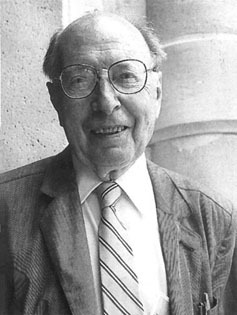 In advanced chemistry, mathematics, and physics, he is the namesake or half-namesake of the Breit-Wigner resonance, the Weisskopf-Wigner formula, Wigner coefficients, Wigner crystals, the Wigner effect, Wigner energy, and Wigner rules. He was a high school classmate and life-long friend of game theory mathematician John von Neumann, and his sister married quantum physicist Paul Dirac.